I've been toying with the idea of publishing all of my short stories in one collection for a long time. I just could never come up with a great name or cover. I named it "Danthology" at one point calling it an anthology of short stories by me, but that's not really an anthology. It's a short story collection. An anthology has a theme to all of the stories. Most of my stories are either Science Fiction or Fantasy and so I like what I've come up with. 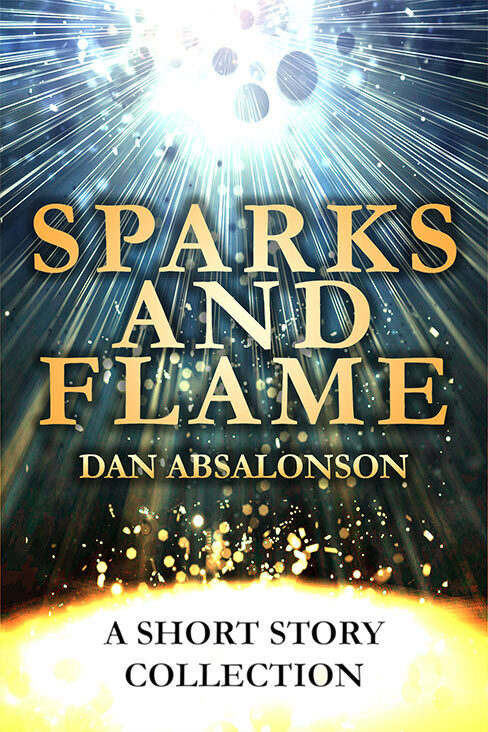 Sparks and Flame will be the eBook and paperback edition of all my short stories packed into one book. I'm really excited to get it out there because I'm really proud of a lot of my short stories but there's no good way to publish them in a book unless I make a short story collection. This will be fun! As always thanks for stopping by! Wow! This book interested me. I want to study in more detail all the questions concerning Fantasy. Actually, theme fiction is also the theme of my friend's book. And I, in turn, decided to order a review here https://academicsavers.com/book-review/ . Also, some materials can be useful for me. I`ll be happy if you can give me some advice. Yours faithfully! Congratulations on that. I am excited to read the short stories. Since i love to read books on science and fiction, i have never read short stories complied in one. I will read it soon. Thanks for posting it. http://helpwritinganessay.com/research-paper/ One can visit here to get research paper writing solutions. Hello Dan i have read your Method To Madness. It is a great book. I am waiting for your short stories to come up. All The Best. Also i would love to share with you the awesome service of US essay http://essaywritingserviceus.blogspot.com/ where you can refer your readers too. Very kind of you to say. Thank you! Your short stories are really interesting and inspiring. Way of presenting your story is really cool,People can relate themselves with it. Looking forward for more stories from you. This is really a great book. I am always excited to read new books Related to science and fiction, the great work is done by the writer. It is really impressive. I really enjoy reading this book. It is written with several facts of science. Which will be helpful. It is also getting good reviews from the readers. These stories are short and interesting. I hope it will never stop to adding new collection in the series. I love to read new books and articles always. I found USA essay writing where I found good articles of my interest. Short stories are actually more exciting and interesting to read. I like short stories a lot. I must appreciate that it is amazing stories you have written. I love the writing style, character and story plot is just amazing and unique. It has great interesting twists and fiction books have great twist and turn. The portray of story-telling is great. I really enjoyed reading it. and I was amazed by their work.